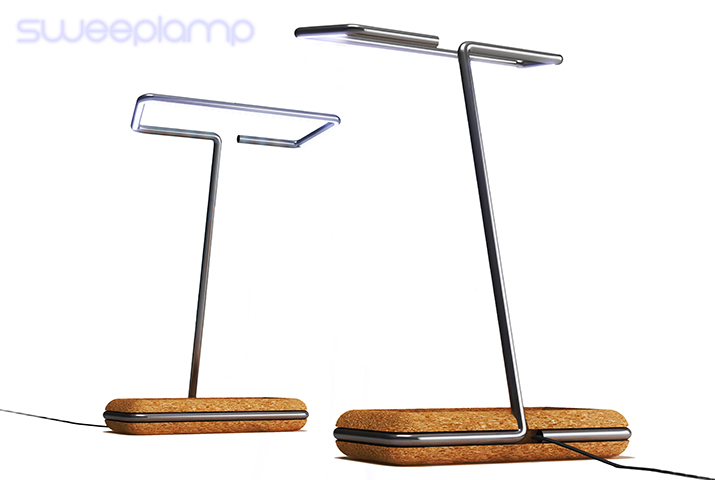 SweepLamp is a characterful lamp that emits a cosy light onto its surroundings using the new technology of ultra-thin LED lamps that emits a healthy light. The design has a futuristic expression with the simple forms of its shade and body giving the lamp character. The whole body use a thinner structures. 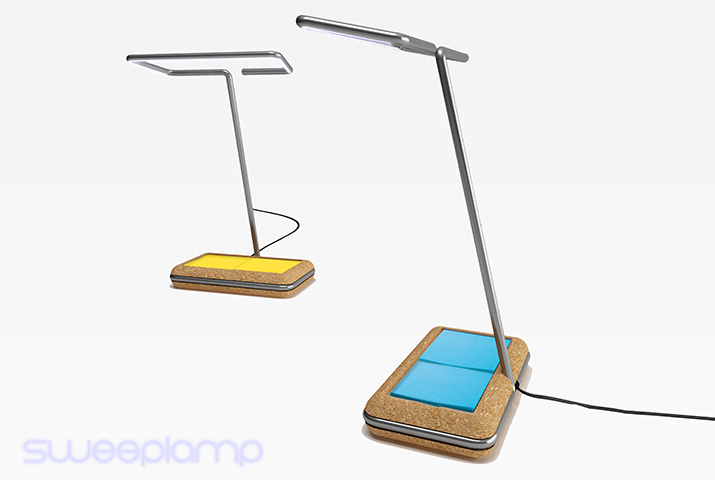 The lamp has a smart touch dimmer to control the intensity of the light. 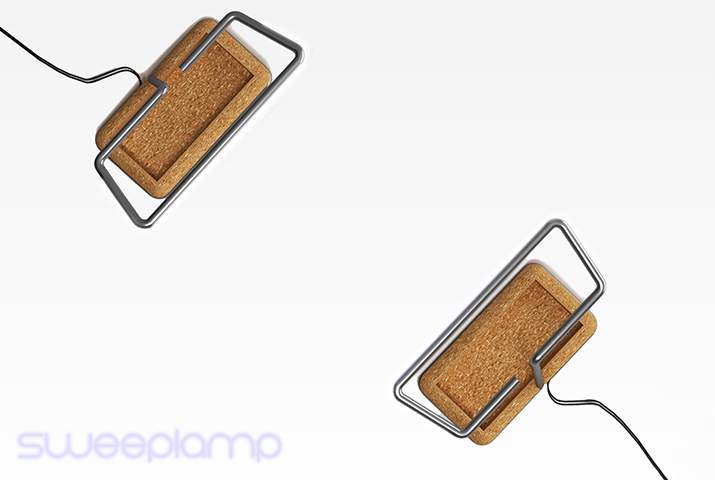 SweepLamp is available in a classic gray steel polished with a base of cork to storage Post-it or markers. 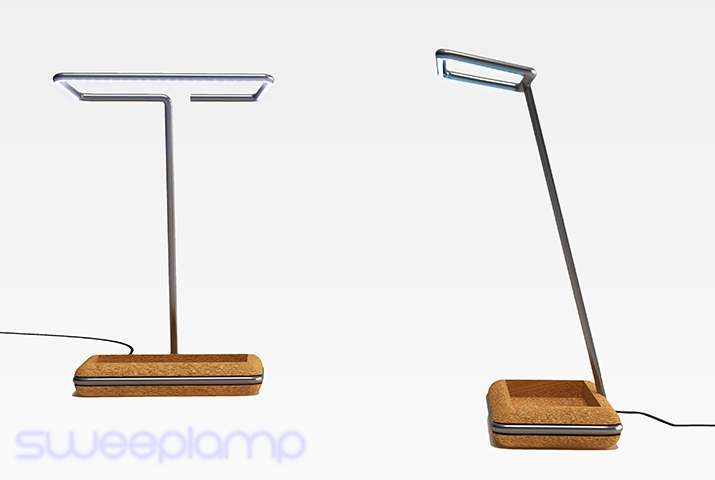 SleepLamp is suitable as a reading lamp in the office or in the bedroom.